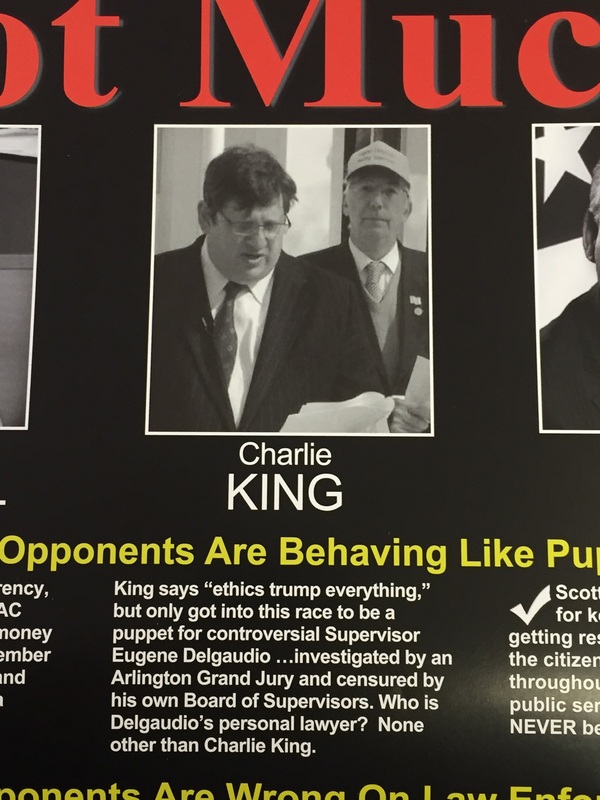 Between Scott York’s campaign mailer and an article from the Washington Post about the Chairman race, shots were fired at Charlie King, Delgaudio’s lawyer, for his support of Delgaudio and they aren’t pretty. It’s no surprise to anyone that Delgaudio wants to be able to discriminate against gay people since he runs an anti-gay hate group while he is supposed to be serving his constituents. Delgaudio’s aide recounts the abuse she endured working for him. Subsequently Delgaudio was investigated by a Grand Jury and the FBI, Censured by the Board of Supervisors then had the nerve to oppose an ethics ordinance to prevent abuses from happening again. Is this the type of person you want representing Sterling? Is Delgaudio anti-density packing? Not when it comes to those giving him campaign donations. Delgaudio has often said he’s against density packing in Sterling and in a recent “news”letter claimed his opponent, Koran Saines, is the real density packer. 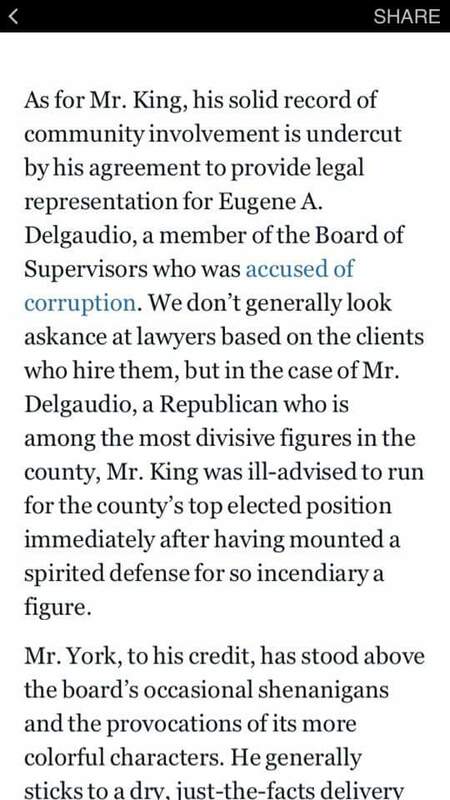 But that’s not quite the case when developers are giving Delgaudio campaign money in order to gain his political favor. In typical two-faced fashion, Delgaudio voted to approve a density packed neighborhood called the Gatherings at Cascades in which 480 houses would be crammed onto 19 acres. That’s about 25 houses per acre. A typical Sterling Park home sits on about 1/4 acre lot. Delgaudio is a racist and a bigot. “He also made racial remarks about Asian people, making fun of the way they speak, mimicking them. He called them names, as well as he did with Hispanic people and black people,” Mateer notes. Here’s a nice entry about Delgaudio in the Encyclopedia of American Loons. It contains an excellent summary, with sources, of the paranoid and delusional antics he’s commited over the years. Word is that Radical Homosexuals have infiltrated as event organizers to promote homosexual events that are designed to prey upon unsuspecting college students by enticing them to join their “krewes” and help build parade floats in exchange for free alcohol. When the young men are sufficiently intoxicated, homosexuals dressed as pirates whisk them away to God knows where to take advantage of them sexually. Delgaudio has a very vivid imagination when it comes to gay men.